More than half of North Americans are fascinated by genealogy and invested in their family histories. The emotional impact is profound. Some gain a sense of identity by uncovering their ancestors, their culture, and their country of origin. Others find it devastating and disorienting when they discover that their history differs from what they have always believed. But there is another side to the rise in genealogy that goes beyond human interest. It is arguably the largest historical enterprise in the world, and one of the largest data mining operations, driven by big religion, big business and big technology. “Need to Know: Ancestry and the Business of Family” explores the industry behind the exponential intensity of genealogy. Should we be concerned about the ownership and privacy of personal data, particularly the commercial braiding of genetic and genealogical information? What are the motivations of the key players and how are their ambitions affecting the millions of North Americans who are searching for answers? 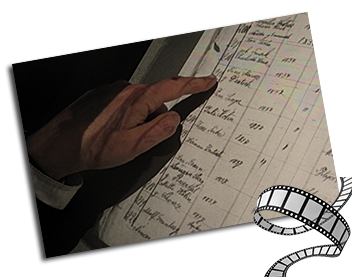 Shot in Canada, the United States, the United Kingdom and Iceland, the documentary follows Julia Creet as she interviews representative stakeholders—amateur genealogists, industry representatives (including the founders of Ancestry.com), experts (including Harvard’s Steven Pinker and Columbia sociologist Alondra Nelson), Iceland genealogists, and officials of the Church of Jesus Christ of the Latter Day Saints (including the CEO and Marketing Director of FamilySearch, the LDS online database). “Data Mining the Deceased: Ancestry and the Business of Family” examines the motivations of individuals and industry with respect to the collection and use of genealogical information. Privacy and ownership concerns arise from the domestic and international flow and aggregation of vast quantities of vital information about the living and the dead. And, integral to the question of family history, “Data Mining the Deceased” asks: What is family?